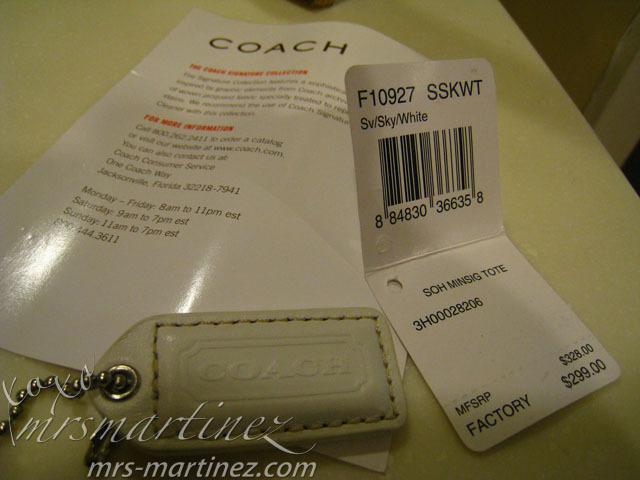 These are all pictures taken with my authentic Coach Soho Mini Signature handbag. 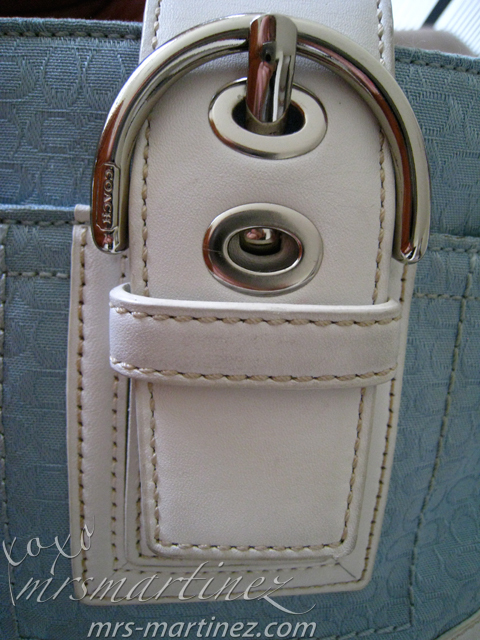 The zipper pull in my handbag is made of leather. 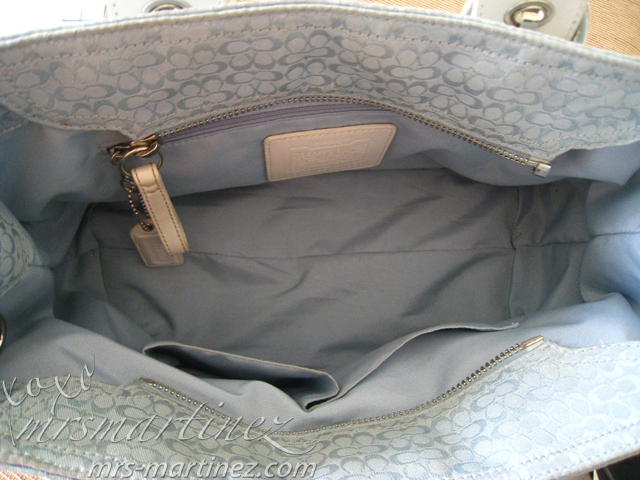 Above photo shows the middle of the handbag. 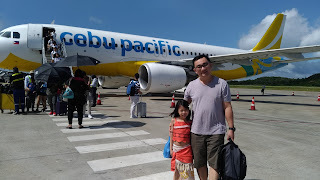 Generally, coach pattern starts from there. Mind that all the stitches are in a straight line and there are no overlap stitching. 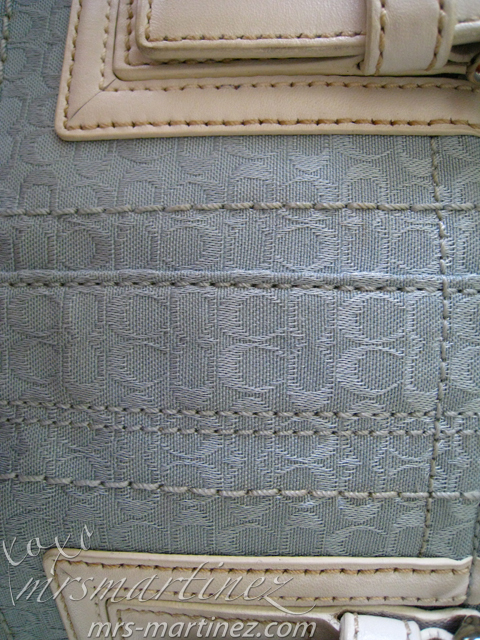 If the outside has a CC pattern, the lining should not have any pattern. And vice versa. 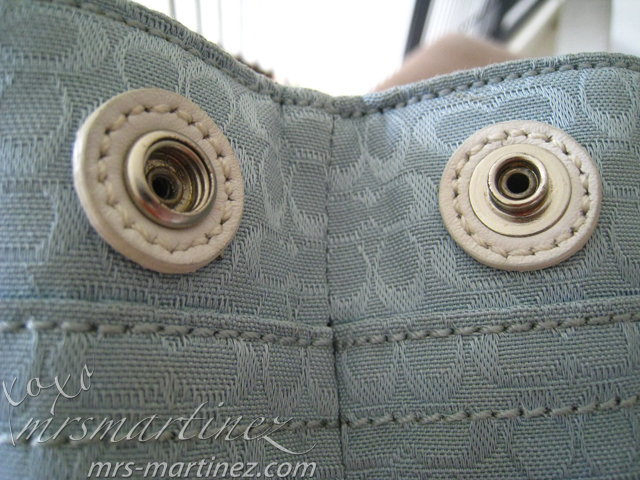 The last five number combination represents the model/ style number of the handbag while the first two numbers indicate the year it was made. 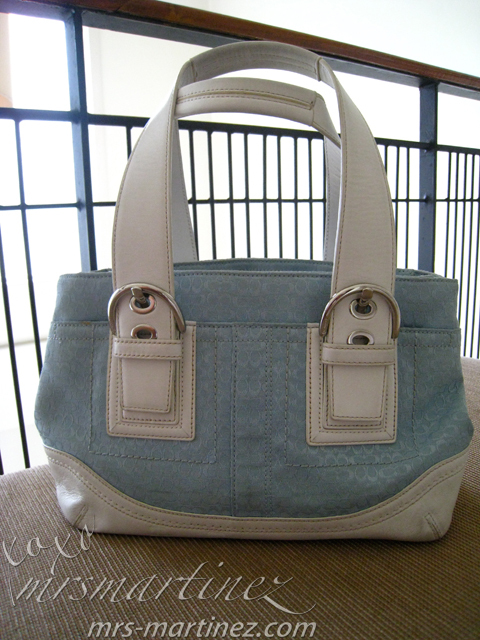 The F signifies that the bag was bought in a factory store. 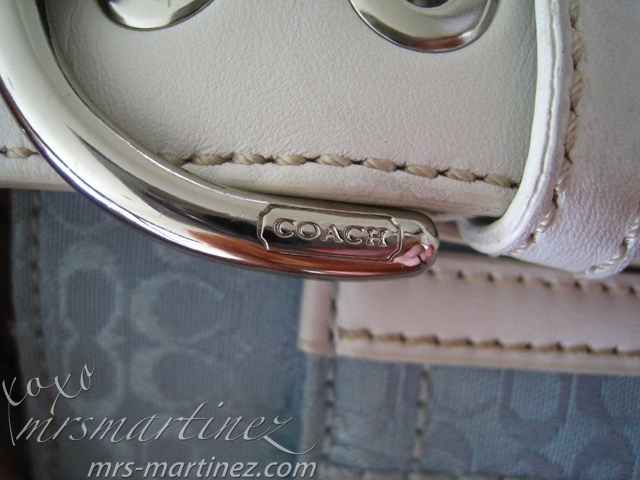 Except for pouches, wristlet and other small accessories, all Coach has a creed attached to it. 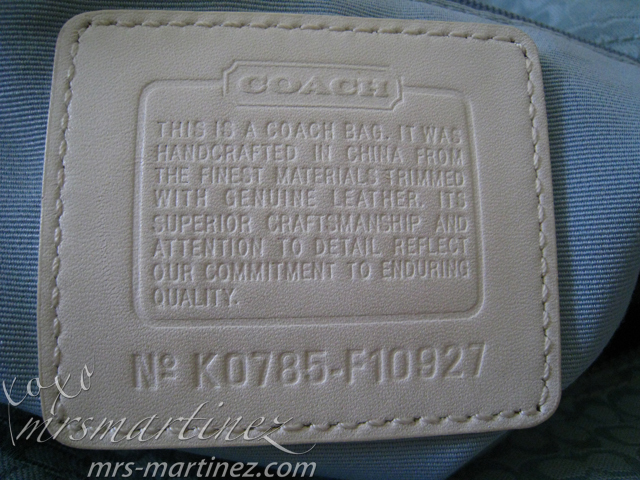 The words should be embossed and equally spaced on the leather patch not just printed on the material. The creed is sewn and not just pasted on the lining. 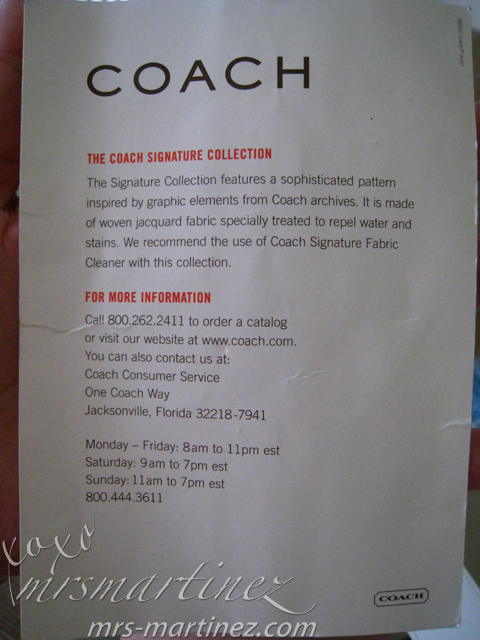 And yes, Coach do assemble their handbags in China.